Scott, the “Cash Bandits” Hot Shot Wins Again! One thing that players love to hear about is big wins, because it adds to the excitement of possibly hitting big themselves. Well, one player, Scott, has done it again. Apparently, he has the skills and luck to win big more than once. 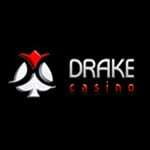 Back in April of 2018, he won a huge pile of money playing slots at Casino Brango. 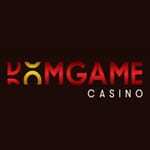 This July, he claimed big cash to the tune of 20 grand while playing “Big Shot,” a slot game at Casino Extreme, where he won $18,084, and several other slots, where he won the balance. When you win that big, everyone takes notice. Plus, you can get your money right away. Playing cops and robbers is more fun when you get to be the bandit and crack the vault, especially if it is filled with lots of cash. Back in April, Scott tried to get into the vault. He started slowly but managed to get some action with number 4. He got two hits on the vault along with hits on a large and medium safe. Since his 4s appeared in the first two spots, he got the chance to try for 50 free spins. After a couple of more tries, Scott started hitting and got 10 free spins. During this round, he had some more trouble and just missed getting the 20 free game combination. The vault was starting to get away from him, and his dreams of winning big seemed out of reach. Suddenly, the vault opened up, and he gained access to 50+ free games, each of which had a 4x multiplier attached to it. Wow. Scott was playing large and hit 65 free games with an incredible 8x multiplier attached to them. Now,the large safe was opened up. He was really enjoying playing the cash bandit and knew he was taking it all out as soon as he could. Another 20 free games with a 3x multiplier sticking to them. Whoa. Scott began with a $12.50 bet. Before he knew it, Scott won $8,572 that he took out instantly in pure delight. Scott was feeling so lucky, he took a turn at spinning the reels on several slot machines at Casino Brango. He racked up $241,142 in no time at all. 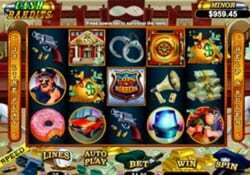 Now, this dream-come-true story is the kind of stuff that makes players want to head over and play a little game of cops and robbers at their nearest online casino!